According to a survey from 2014, the most impacted road users in accidents were on two-wheelers. During the same year, a total of 40,926 people were killed, but more importantly the number of road traffic accidents involving two wheelers was 1,33,634. The figure just shows that there are possible death traps in every nook and corner. We look at the hazards that bikers should avoid at all costs. 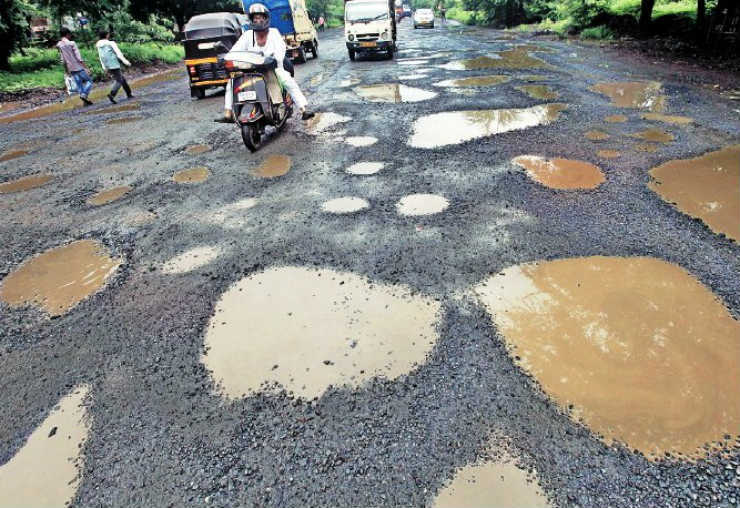 As ubiquitous as vehicles on roads, potholes are a major hassle in India, whether you live in a city or a village. Larger cars might be able to travel over potholes thanks to larger wheels/better suspension, but damaged vehicles aren’t uncommon. It’s worse in case of two-wheelers. In addition, What makes matters worse is when riders (or even drivers) try to avoid potholes by swerving, hence making them susceptible to being hit or even run-over by other road users. In case of unmarked speed-breakers, owing to the low weight of bikes, they can easily go air-borne. Imbalance of course is an issue, but what follows it is a major concern, given that you’re sharing the tarmac with other vehicles, too. Contacting the concerned authority is the least that one can do, so that the roads are repaired. But until that happens, riding within the speed limit and maintaining a safe distance from others (so that you have enough space to move) must be practised. In case of speed-breakers, ensure that you don’t have the handle turned when you land. Come monsoon and water-filled roads will not be a rare sight. And while wading through such scene might just be straight out of an action film, it’s way worse than it sounds. You are surrounded by (or worse still, maybe dipped in) dirty water, and are running the risk of letting water enter the engine. More dangerous than that is the fact that drainage covers and manholes are left open and unattended. Much like in case of potholes, losing balance and getting hit by another vehicle makes it all the more dangerous. 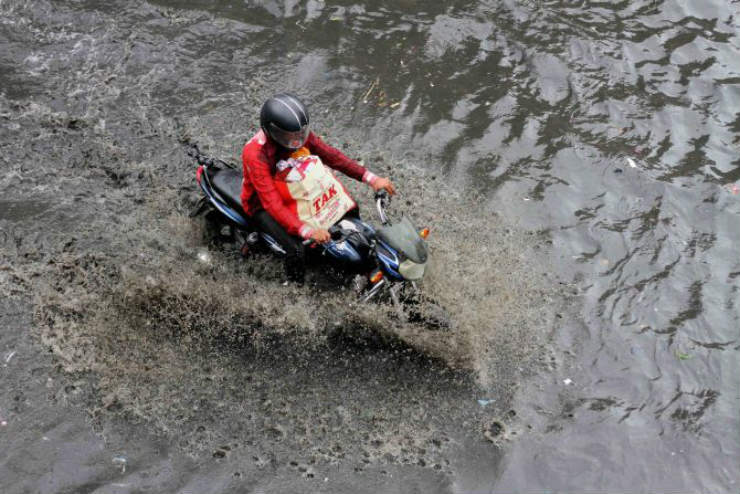 Best avoid water-logged roads because the danger involved isn’t worth taking. If you don’t have any other option but to take the said route, follow the wheel track of the vehicles and don’t deviate from that. Stay in a low gear, keep the engine revs high, and do not rush into things. Unlike bikes, on which you can see the world around, car drivers’ view is obscured by pillars and bodywork. Being present in a vehicle’s blindspot means the driver cannot see the rider, and by the time he realises that another road user was there, it’s maybe too late. This becomes worse especially while turning, because bikes are least stable and a little nudge can lead to a fall. 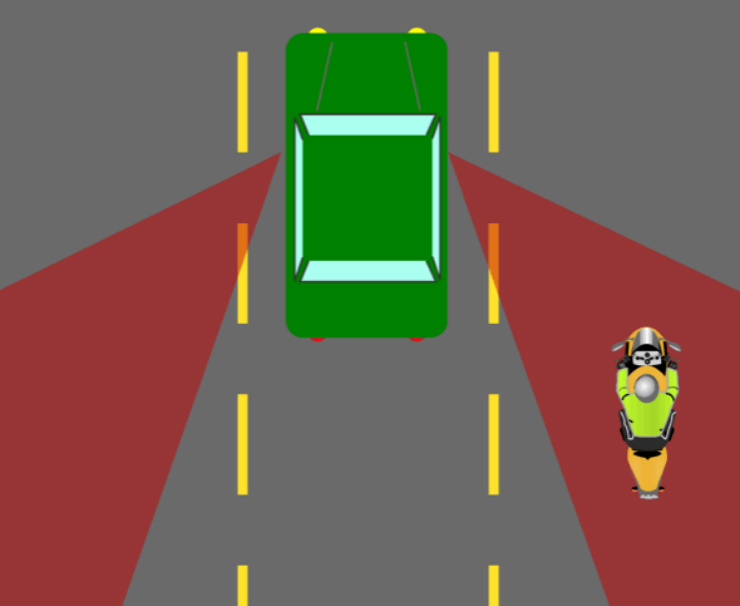 While maintaining a safe distance from cars, just stay away from the regular blindspots of cars: front left and right, and rear left and right. If you want to filter through traffic, do that, but not while taking turns. Distractions are a strict no-no while driving — they cause accidents because of, yes, lack of concentration. Another major mistake that motorists commit is target fixation. To put in simple words, it’s when you see something in your way and instead of moving your focus and avoid the said obstacle, you keep looking at it. Eventually due to the same you might delay your response or worse still end up hitting the obstacle. The most common of obstacles are stray animals. 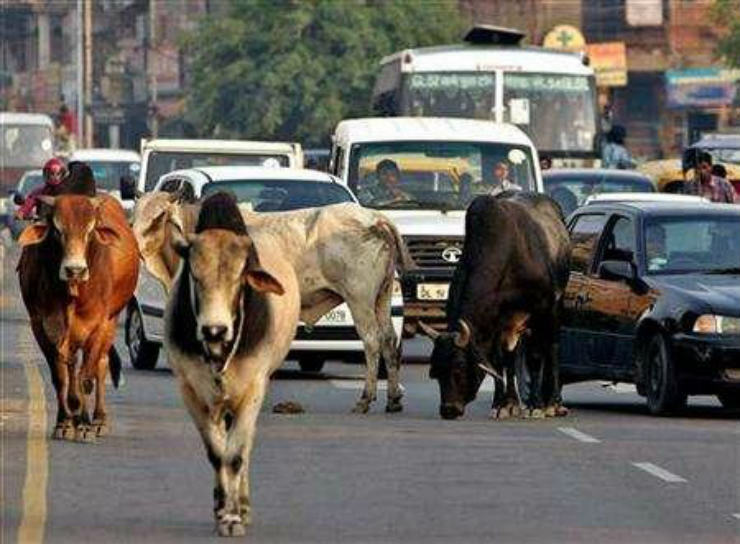 Bigger ones like cows move slowly and are tough to avoid, but small, more mobile ones like running dogs and pigs are even worse. Keep your eyes on the road, and just avoid target fixation. You have to actively refrain from fixing your eyes on the obstacle but it’s not too difficult — comes with practice, though. While the rest of the death traps are more or less dependent on external reasons, flouting rules is something riders/drivers do deliberately. 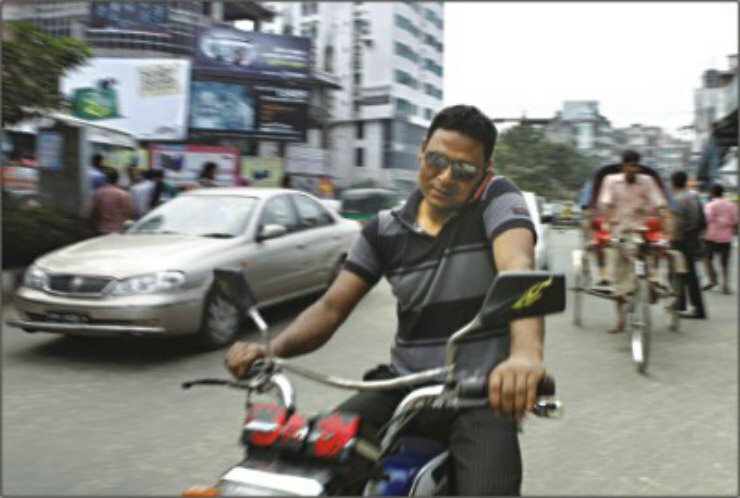 Speaking on the phone, listening to loud music on earphones, lack of helmet, etc. all of these are easy to avoid but sadly most riders forget that. Loss of concentration and with a reduced ability to hear, you’re more likely to cause or be involved in a crash. Riding without a helmet (and other safety gear) is again an easy way to kill oneself. Use a helmet always, and don’t use slippery footwear. In case of mobile phones, they are again a distraction. Stop (in a safe zone) and talk rather than talking on the move. Keep a handsfree connected to your phone and keep the volume low.